Women in Media... Let's Talk! March is Women's History Month and did you know that only 23 percent of media managers are women, according to a February 2014 study from the Women's Media Center? Let's talk about this. Better yet, let's discuss ways women can improve their standing in the industry overall. 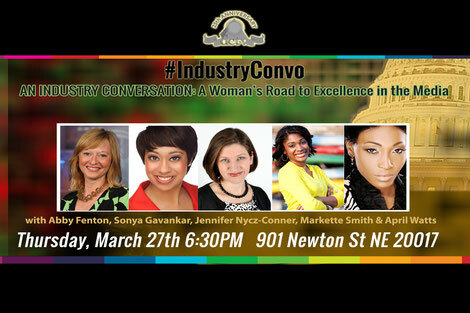 Come join me on Thursday, March 27 as I host and moderate an expert panel during the televised special event, An Industry Conversation: a Woman's Road to Excellence in the Media. Tickets to sit in the live studio audience are free, but quickly filling up. Everyone from behind-the-scenes decision makers to feature writers to TV & radio personalities will be there.